Together they Step – From our Route 7-1 guided walk on March 26 by Shin Mi-ran. We had 17 walkers depart the Route 17 start point at 9:30 a.m. with one more joining later on. 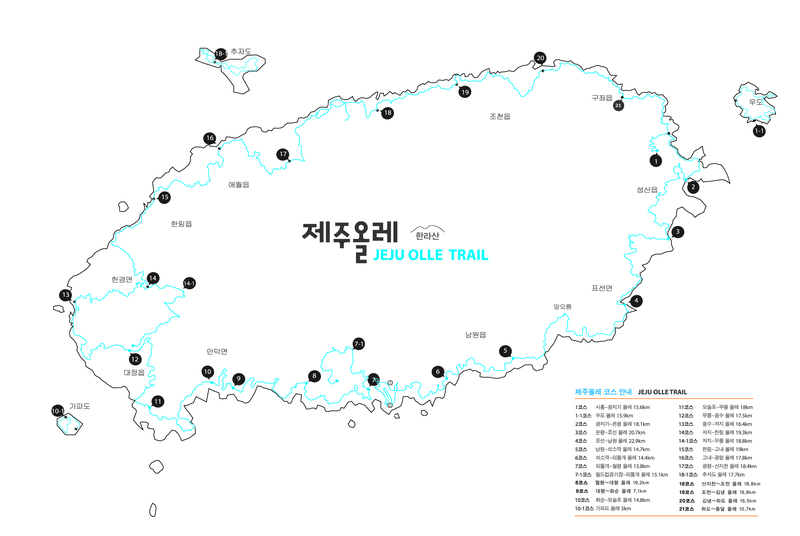 Therefore 18 walkers finished in Jeju City around 3:15 p.m.
Sunrise is at 6:25 a.m. and sunset will be at 6:52 p.m.
We have a high of 17°C again with little cloud to clear sky. A light to gentle wind is going to blow south-east. There is going to be a spot of rain Saturday morning. Along Route 20 in Gimnyeong on March 20. By No Jong-yeol. We had 28 walkers depart on 15-B and 26 walkers finish. Sunrise was at 6:27 a.m. and sunset will be at 6:51 p.m.
We have a high of 17°C with cloud and clear sky in places. A morning light air (1 m/s – rare for Jeju) will become a light to gentle wind (4-5 m/s) later on in the day. Towards the Sea by Lee Seong-gwan along Route 5 on March 22. Sunrise was at 6:28 a.m. and sunset will be at 6:50 p.m.
We have an even higher high of 21°C with little cloud to clear sky. A light to gentle wind (2-3 m/s) is going to blow north then north-east.